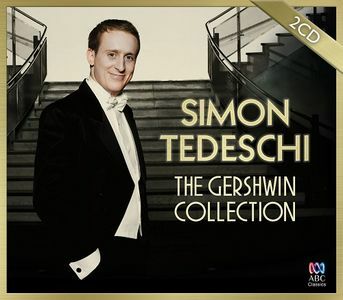 Now that Simon Tedeschi has released two recordings separately for ABC Classics (Gershwin & Me; Gershwin – Take Two), this box set (both CDs) has been released. Tedeschi, who clearly has a great affinity with the music of George Gershwin, describes the style as a combination of “Russian melancholy, Cuban rhythms, African American blues language, all gulped down with a Manhattan gusto”. Rialto Ripples Rag leaves no-one in the dark. It grabs you with its strongly articulated accents and robust playing, a hallmark that permeates the entire recording. Three Preludes was one attempt by the composer to make his mark in the classical arena. Strangely, this was a lifelong quest of Gershwin’s. In the mid-1920s, staying in Paris for a short period, Gershwin applied to study composition with the noted Nadia Boulanger who, along with several other prospective tutors such as Maurice Ravel, rejected him. She was afraid that rigorous classical study would ruin his jazz-influenced style. Tedeschi chooses some of the finest arrangements to include here; Keith Jarrett’s arrangement of Someone to Watch Over Me, which is so seductive, and then there’s Percy Grainger’s take on Love Walked in and The Man I Love, showing Grainger’s sensitivity as pianist arranger. Three pieces (with arrangements by the composer), ‘S Wonderful, Oh, Lady Be Good!, and Strike Up the Band, were all written for different purposes, one a popular stand-alone song, one for a musical and one for film, showing the diversity that was the composer’s music-making style. The tenderness of Dave Grusin’s arrangement of Nice Work If You Can Get It, comes from a period in which this prolific American celebrated through his arrangements the work of Gershwin, Duke Ellington, Henry Mancini and Leonard Bernstein. On this recording, however, you are not left just hearing Tedeschi as a fine (jazz) pianist and exponent of Gershwin, but also as an arranger, giving breath to his own Summertime, and I Loves You, Porgy, with hugely improvisatory flair. Of course, no disc of Gershwin’s piano music could be complete without one of the landmark pieces in American music, Rhapsody in Blue. In January 1924, Gershwin reportedly learned from a newspaper article that he was meant to be writing a ‘jazz concerto’ for a programme of new American music to be given by the popular dance band leader Paul Whiteman a month later. Writing at manic pace, Gershwin composed a two piano version, which was then orchestrated by Whiteman’s arranger, Ferde Grofé. The composer, himself, was the solo pianist at its premiere. On both Tedeschi recordings are versions of this work. A live recording with the Queensland Symphony Orchestra (conducted by Benjamin Northey) – using the Grofé orchestration, brings to life all the colours of New York City, from the underground subways, to the hustle and bustle of the sidewalk, and the streets conjested with cabs. It is manic, verging on the breathless, and at times sleazy, and even majestic. The second version included here is the piano solo version, which is equally engaging for its muscular drive. The second CD, Gershwin Take Two, has many more pieces that perhaps are less known these days. Solo piano music features such as Promenade, Prelude (Novelette in Fourths), Prelude (Rubato), Merry Andrew, Three-Quarter Blues, Impromptu in Two Keys, as well as extracts or arrangements from shows. Tedeschi also invites guest musicians to collaborate with him in some tracks, such as Nice Work If You Can Get It, with trumpeter James Morrison, which also shows Tedeschi’s own skill in jazz improvisation at the piano. A very dreamy Prelude (Melody No 17) sees the trumpet and piano duo explore the lyrical and harmonic gestures in this “song without words”. ARIA award winning singer, Sarah McKenzie appears, singing a sultry Embraceable You (from Girl Crazy), which contrasts with her alluring Let’s Call The Whole Thing Off (from Shall We Dance). Other tunes from shows are Sweet and Low-Down (from Tip-Toes), Do-Do-Do, Clap Yo’ Hands (both from Oh, Kay! ), Jazzbo Brown Blues (from Porgy and Bess), Liza (from Show Girl), My One and Only (from Funny Face), I’ll Build a Stairway to Paradise (from George White’s Scandals of 1922), Do It Again (from The French Doll), Nobody But You (from La-La-Lucille), Who Cares? (from Of Thee I Sing), most of which had lyrics written by Ira Gershwin (George’s brother). The forgotten lyricists here are Gus Kahn, Buddy DeSylva and Arthur Jackson. Gershwin is one of those composers whose life was cut short too early (from a brain tumour), and one whose music sweeps you up in a rapturous experience of sheer joy. 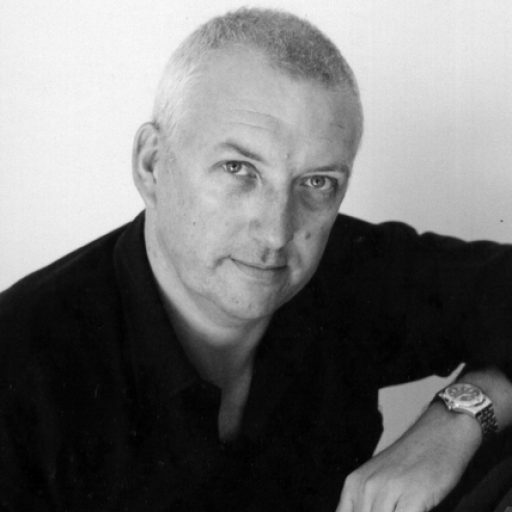 In Simon Tedeschi we have a world-class pianist, who, probably more than any other recent musician, has placed the music of George Gershwin on a plane equal with his own musical understanding and virtuosic playing, as well as his honest performance regarding the intentions of the composer. Tedeschi’s innate sense of the style marks him out as an authentic exponent; it is as close to channeling the great composer-pianist as it could be. This entry was posted in Articles & Reviews and tagged Embraceable You, Gershwin, Larry Adler, Porgy and Bess, Rhapsody in Blue, Simon Tedeschi, Summertime, Tin Pan Alley. Bookmark the permalink. Wow ! Simon What a wonderful write up..no doubt well deserved..Where can I get a copy…? Just read your stunning review from Adelaide wish I could have been there…..Unfortunately due to health reasons I,m stuck at home teaching most of the time…When are you coming to see me? It,s been far to ;long since your last visit !!! !I,m so proud of you & all that you have achieved…Lots of Love from your old teacher NM…XXXXX PS Hope to hear from you very soon !!! Barry cameraygal had the pleasure of performing the rhapsody with simon 2 weeks ago. It was a major highlight of my career. Incredible virtuoso. Great review!